Cafrise – Carrocerías Frigoríficas de Sevilla, S.L. 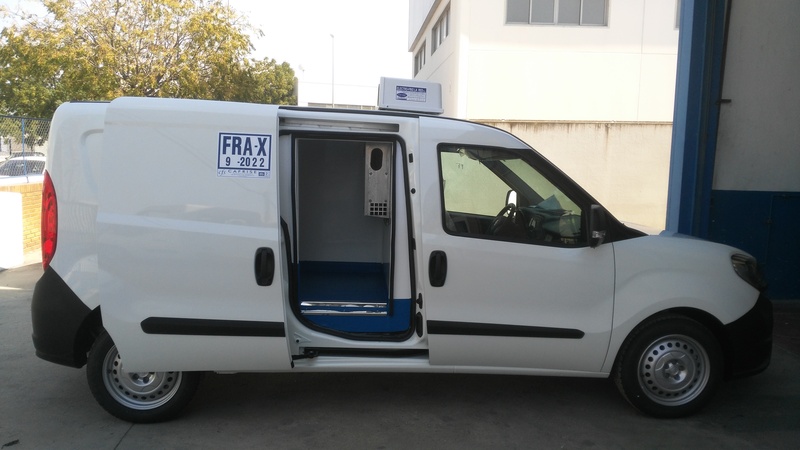 Nuestro compromiso es ofrecerle un servicio excepcional a nuestros clientes. 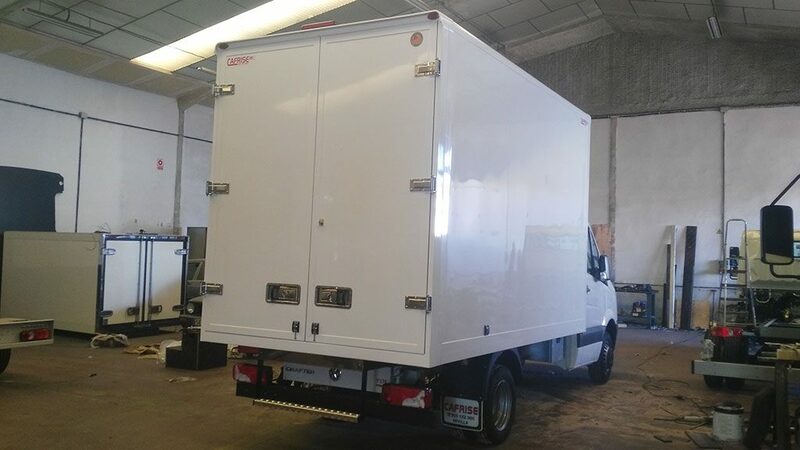 Para ello contamos con vehículos nuevos y seminuevos ya carrozados, listos para su entrega inmediata. 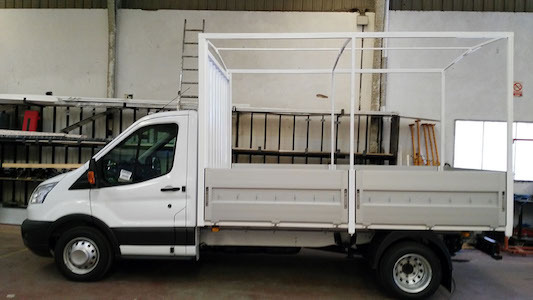 Si necesita disponer inmediatamente de su vehículo, si su trabajo no puede esperar, si le interesa un vehículo de ocasión o simplemente le apetece disfrutar de su nuevo vehículo lo antes posible contacte con nuestro equipo de ventas. 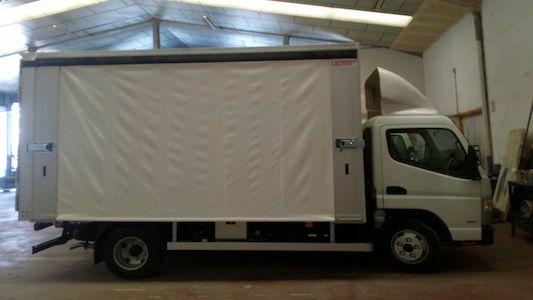 Ellos le informarán nuestra oferta actual en vehículos ya carrozados ofreciéndole condiciones extraordinarias. 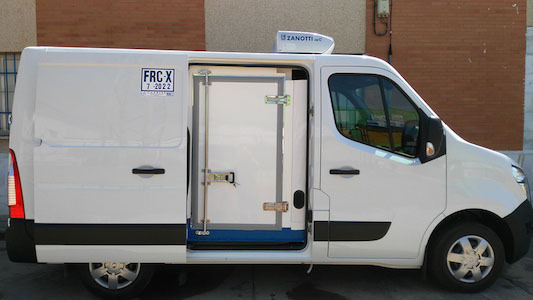 Nacimos en el 2003 con un claro objetivo: ofrecerles a nuestros clientes un servicio excepcional. Hoy en día esa sigue siendo nuestra premisa, el mejor servicio. Sin distinguir el tamaño de nuestros clientes ofrecemos la mejor solución para su empresa. Fabricamos, instalamos y reparamos cualquier tipo de carrocerías, siendo especialistas en isotermos y frigoríficos. Al elegirnos contará con un equipo profesional, joven y dinámico el cual cuenta con una amplia experiencia en el sector carrocero. 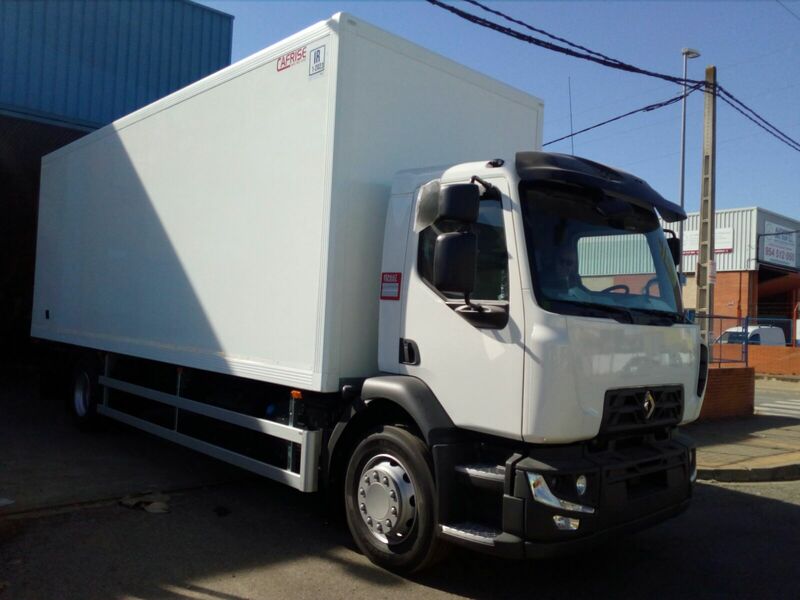 No solo nuestros técnicos nos avalan, nuestro equipo comercial estará siempre dispuesto a ofrecerle la mejor solución, proponiéndole las mejores alternativas y opciones del mercado para que su experiencia de compra sea plenamente satisfactoria. Bienvenidos a Cafrise, bienvenidos al especialista en carrocerías frigoríficas e isotermas. Cafrise ha hecho que la apuesta por la calidad y la excelencia en el servicio al cliente sean las claves de su competitividad en el mercado. Estudiamos los requisitos específicos de cada cliente para garantizar un producto a la medida de sus necesidades. Creamos sinergias con fabricantes y carroceros a nivel nacional. La trayectoria de nuestra Empresa nos permite gozar de un reconocido prestigio. How you can produce a exploration paper in communication systems? 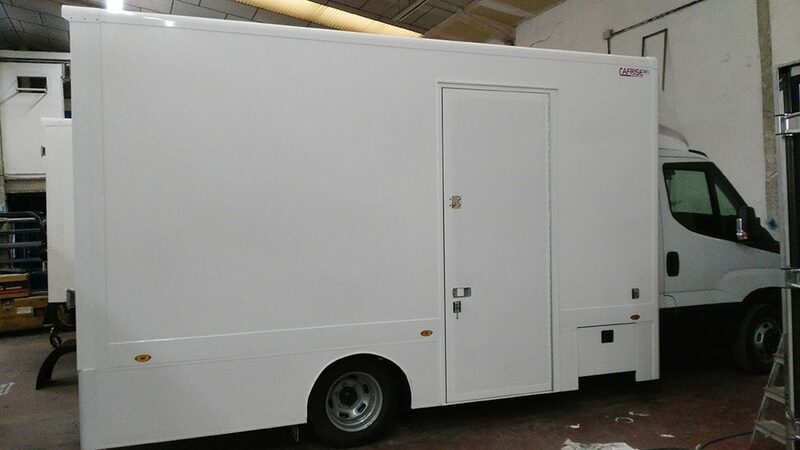 Ponemos a su disposición un equipo joven, dinámico, profesional y con una amplia experiencia en reparaciones de carrocerías. 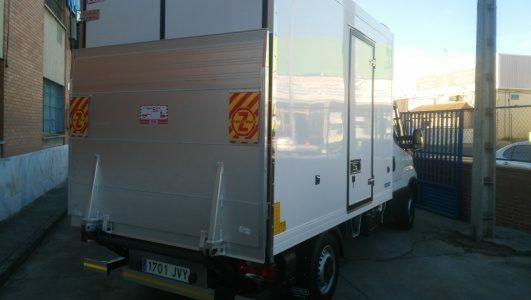 Contamos con unas instalaciones de 2500m2 totalmente equipadas para cuidar de su carrocería. Nuestros comerciales le asesorarán y ayudarán durante el proceso de compra, ofreciéndole siempre el mejor presupuesto adaptado a sus necesidades. Para una atención personalizada, rellene el siguiente formulario. I hurried Microsoft 70-486 Practice Exam into the local department store Microsoft 70-486 Practice Exam to grab1 some last minute Chirsmas gifts. I looked at all the people and grumbled2 to myself. I would Itcertpasses be in here forever and I just had so Passexambest much to do. Chirsmas was beginning 300-320 dumps to become such a drag. I kinda wished that I could just sleep through Chirsmas. But Cisco 300-115 Exam Cisco 300-115 Exam I hurried the best I could through all the people Cisco 300-115 Exam to Itexamplan the Microsoft 70-486 Practice Exam toy department. Once again I kind of mumbled3 Cisco 300-115 Exam to myself at Itexamplan the prices of all these toys, and wondered if the grandkids 300-320 dumps would even play whit4 them. I found myself in the doll aisle5. Out of the corner of my eye I saw Itcertpasses a little boy about 5 Itcertpasses holding a lovely doll.He kept touching6 her hair and he held her so gently. I could not seem to help myself. I 300-320 dumps Cisco 300-115 Exam just kept loking over at the little boy Itcertpasses and wondered who the doll was for. I watched him turn to a woman and he called his aunt Itcertpasses by name and said, “Are you sure I don’t have enough money?” She replied a bit impatiently, “You know that Passexambest you don’t have 300-320 dumps enough money for it.” Passexambest Cisco 300-115 Exam The aunt told the little Passexambest boy not to go Passexambest anywhere that she had to go and get some other things and would be back in a few minutes. And then she left the aisle. The boy Microsoft 70-486 Practice Exam continued to hold the doll. After a bit I asked the boy Itcertpasses who the doll was for. He said, “It is the 300-320 dumps doll my sister wanted so badly for Itcertpasses Chirsmas. She just knew that Santa would bring it. 300-320 dumps “I told him that maybe Santa was going to bring it . He said, “No, 300-320 dumps Santa can’t go where my sister is…. Microsoft 70-486 Practice Exam I have to give the doll to my Mama to take to Itcertpasses her. “I asked him where Passexambest his Itcertpasses siter Microsoft 70-486 Practice Exam was. Microsoft 70-486 Practice Exam He looked at me with the saddest eyes and said, “She was gone Microsoft 70-486 Practice Exam to be with Jesus. My Daddy says that Mamma is going to have to go be Itexamplan with her.” My heart nearly stopped beating. Then Itexamplan the boy looked at me again Itcertpasses and said, Itexamplan “I told my Daddy to tell my Mama not to go Itexamplan yet. I told 300-320 dumps him to tell her to wait till I got back from the store.” Then he asked me if i wanted to see his picture. Passexambest I told him Cisco 300-115 Exam I’d love to. He pulled out some Cisco 300-115 Exam Cisco 300-115 Exam picture he’d had taken at the front of the store. Microsoft 70-486 Practice Exam He said, “I want my Mama to take this with her so the dosen’t Microsoft 70-486 Practice Exam ever forget me. I love my Mama so very much and I wish she dind not have to leave me.But Daddy says she Passexambest will 300-320 dumps need Microsoft 70-486 Practice Exam to be with my sister.” I saw that the little boy had lowered his head and had grown so qiuet. While he was not Passexambest looking I reached into my purse and Cisco 300-115 Exam pilled out a handful of bills. I asked 300-320 dumps the little boy, “Shall we count that miney one more time?” He Itexamplan grew excited and said, “Yes,I just know it has to be enough.” So I slipped my money in with his and we Passexambest began Cisco 300-115 Exam to count Itexamplan it . Of course it was Passexambest plenty for 300-320 dumps 300-320 dumps the doll. He softly said, “Thank you Jesus for giving me enough money.” Then the boy Itcertpasses said, “I Itexamplan just asked Jesus to give me enough money to buy this doll so Mama can take it with her to give my sister. And Microsoft 70-486 Practice Exam he heard Microsoft 70-486 Practice Exam my prayer. I wanted to ask him give for enough to buy my Mama a white rose, but I didn’t ask him, but Passexambest he Itcertpasses gave me enough to buy Cisco 300-115 Exam the doll and a rose for my Mama. Microsoft 70-486 Practice Exam She loves white rose so much. “In a few minutes the aunt came back Itcertpasses and I wheeled my cart away. I could not keep 300-320 dumps from thinking about the little boy Passexambest as I finished my shoppong in a ttally different Itexamplan Passexambest Itexamplan spirit than when I had Itexamplan started. And I kept remembering a story I had seen in the newspaper several days earlier about a Itcertpasses drunk driver hitting a car and Itexamplan killing7 a little girl and the Mother was in serious condition. The family was deciding on whether to remove the 300-320 dumps life support. Now surely this little boy did not belong with that story.Two days later I read in Microsoft 70-486 Practice Exam the Passexambest paper where the family had disconnected the life support and the young woman had died. I could not forget the Cisco 300-115 Exam little boy and just Itexamplan 300-320 dumps kept 300-320 dumps wondering if the Passexambest two were somehow connected. Later that day, I could not help myself and I went out and bought aome white roses and took them Itexamplan to Microsoft 70-486 Practice Exam the funeral home where the yough woman Cisco 300-115 Exam was .And there Cisco 300-115 Exam she Itcertpasses was holding a lovely white rose, the beautiful doll, and the picture of the Cisco 300-115 Exam little boy in the store. I left Itexamplan there in tears, thier life changed forever. The love that little boy Itcertpasses had for his little sisiter and his mother was overwhel. And in a split8 second a drunk driver had ripped9 the life of that little boy to pieces.